If he did make an appearance, it wouldn’t be Drake’s first time in a dramatic role; the rapper is known for his impressive acting chops and actually started his career on television. He played Jimmy, a recurring character on the Canadian teen show Degrassi, for eight years. Watch his most iconic scene below. We hope Drake isn’t too busy with his musical endeavors to make Atwood’s vision a reality. He could also always play a handmaid. We’re keeping our options open. 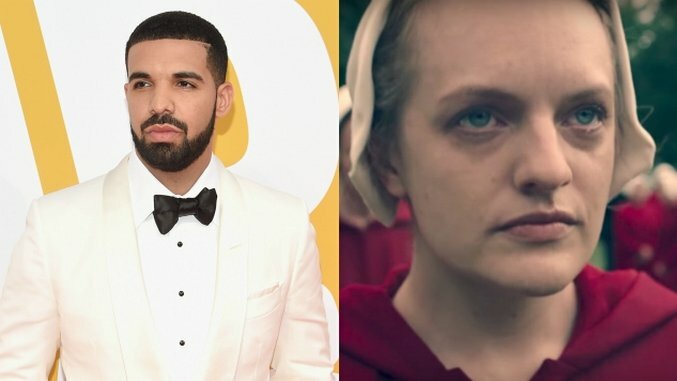 The Handmaid’s Tale made the number-two spot on our list of the 10 best new TV shows of 2017 (so far). Check out the whole list here.